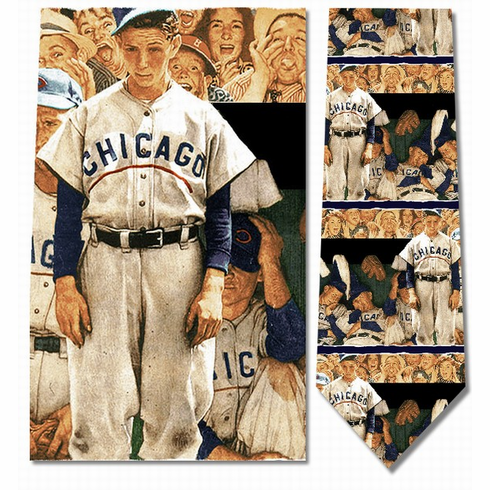 Unique Norman Rockwell� Dugout men's silk necktie. Handmade with 100% silk and fully lined. Ideal gift item for the Chicago Cubs fan or baseball executive in your life who seems to have everything. Size: Appx. 58"L x 3 7/8"W.